Camelback Computer Architecture offers thorough, reliable and confidential patent analysis. Dr. Alpert has worked on over a hundred patent applications and assessments, and has offered expert testimony at trial or deposition for dozens of patent cases. This combination of technical and legal analysis makes the firm’s patent consulting one of the strongest in the field. As the principal architect of Intel’s Pentium® Processor, and named inventor of over 35 U.S. patents, Dr. Alpert offers both a high level of technical insight and experience, as well as an ability to work well and collaborate with other experts in a variety of fields. For patent analysis, we offer advice and strategy through defining and identifying goals in addition to providing thorough technical and legal analysis. Whether you are an attorney involved in patent litigation, or a corporation or individual looking for help evaluating a patent, Camelback Computer Architecture is uniquely qualified to address your needs. We understand the importance of providing our clients with comprehensive technical analysis, communicating effectively, and providing our reports and analysis within deadline. Infringement analysis of complex systems, including analysis of Verilog, VHDL, schematics, and system software source code . More than 20 years of experience leading product development at Zilog, National Semiconductor, and Intel resulting in revenues of multi-billion dollars. 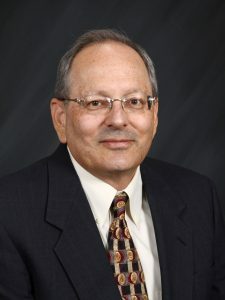 Master of Science and Doctor of Philosophy degrees in Electrical Engineering from Stanford University where he studied computer design and was awarded a prestigious fellowship by the National Science Foundation. Undergraduate and graduate classes in computer architecture as a consulting professor or faculty associate at Stanford, Tel Aviv, and Arizona State Universities.